With over 15 years of experience in residential heating and air conditioning service, City Heating & Air is considered one of the best in the area. Servicing the Greater Charlotte Metro Area, they have a friendly and courteous support staff waiting to answer any questions you might have. They have some of the most experienced technicians who have the ability to diagnose and resolve any issues on the very first visit. According to their website, “Fix it right the first time” is their motto. Their technicians are certified experts in all of the latest technologies and are ready to deliver you the best performance and energy efficiency. 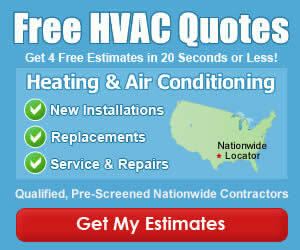 Have you used City Heating and Air Conditioning for Service at Your Home? If so, please rate the company and leave a review below. We had very helpful technician and he was quick and efficient. Customer service was great and I would highly recommend City Heating & Air Conditioning!